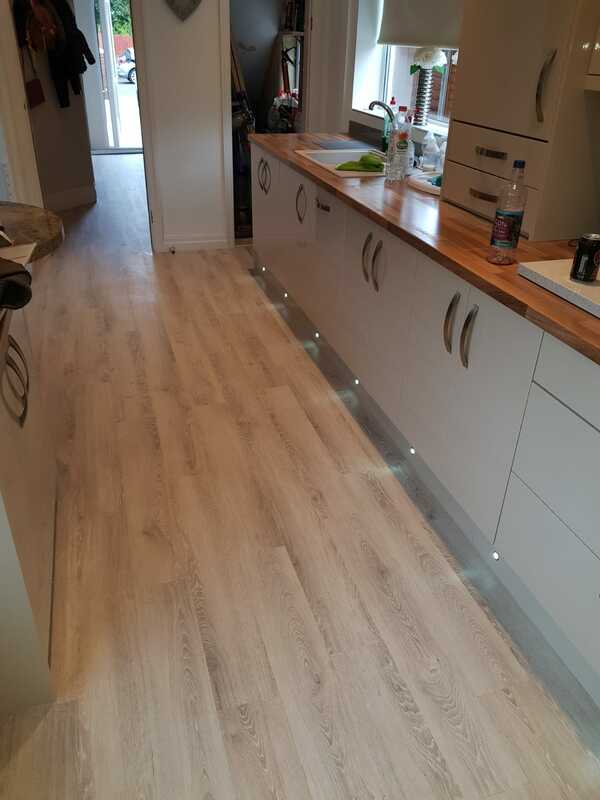 Hall and kitchen flooring installation using Natural Solutions Sirona Click Evergreen Oak LVT Flooring. 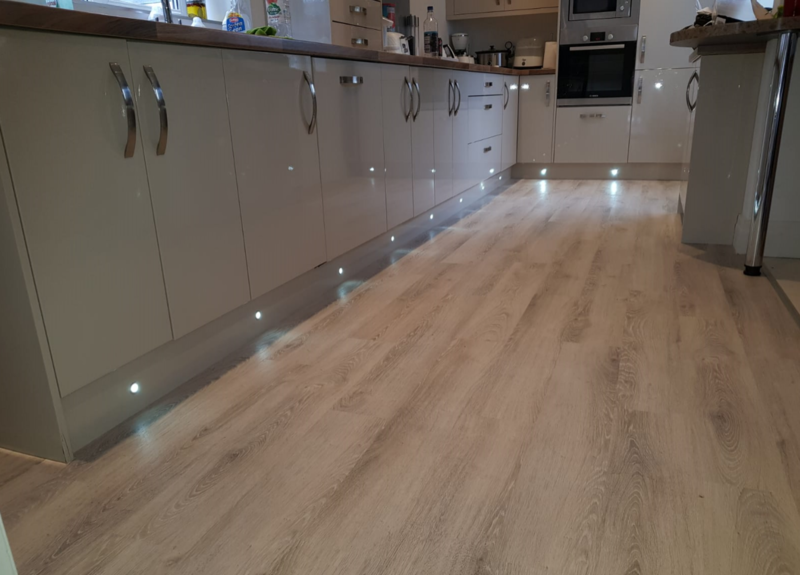 Evergreen Oak from the Natural Solutions Sirona Collection has a gorgeous appearance produced by the beautiful variations of the natural colours and tones of the grains. The grains also enhance the flooring’s beautiful appearance as well as providing a textured underfoot experience, which is slip resistant, moisture resistant, hygienic and easy to maintain.